Hot, humid, downtown Kingston, Jamaica, the 1970s: streets pulse with reggae, rhythm and dub. Brotherman is a local Rastafarian guru who heals, preaches and tries hard to live a righteous life. When he gives a homeless young country girl a space in his house, the volatile neighbourhood is sparked into jealousy and violence. Meanwhile, her grown love for him tests his commitment to a pure, spiritual life. Commissioned by Talawa, Britian’s leading black theatre company, and inspired by Rogert Mais’ classic novel Brotherman, One Love takes us tyo the heart of the Jamaican soul, as actors, dancers, singers, life musicians and a DJ draw on influences such as Bob Marley and lee ‘Scratch’ Perry to tell this powerful parable of desire and denial. 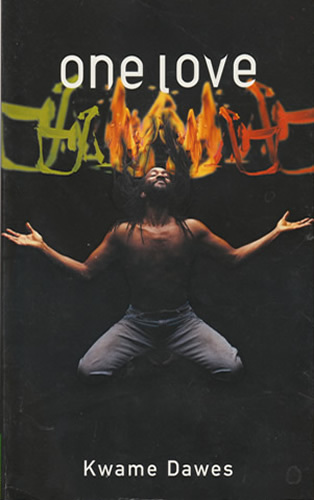 One Love, a Talawa Theatre Company and Bristol Old Vic co-production, premiered at Bristol Old Vic in April 2001.